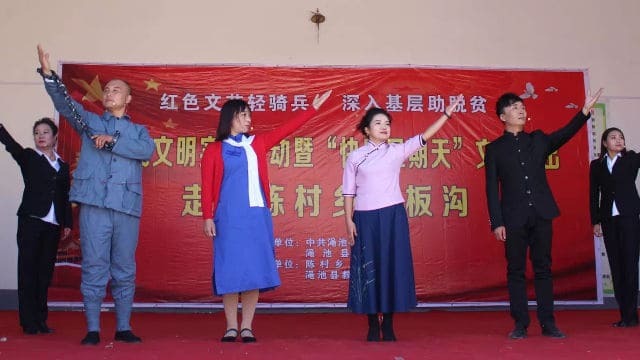 Local authorities in parts of China are organizing “alternative” events nearby the places of worship in an attempt to deter people from participating in religious activities. According to inside sources, more municipalities in Henan have joined this initiative. In October, the government of Luoyang city issued a document to all its subordinate agencies, ordering to vigorously promote atheist propaganda and organize targeted cultural events on religious holidays and Sundays, to put on a “good rival show” and reduce the influence of religion. The document states: “Focusing on villages (communities) with religious venues, strengthen the creation of socialist spiritual civilization, give the grassroots cultural front full play, and vigorously promote scientific and cultural knowledge and atheist propaganda.” The subordinate authorities are ordered to organize “Happy Sunday” activities and other targeted cultural events on religious holidays and Sundays seeking to reduce the influence of religion. Thematic cultural performance in Shibangou village, Chencun township in the county of Mianchi, held on Sunday, October 28. 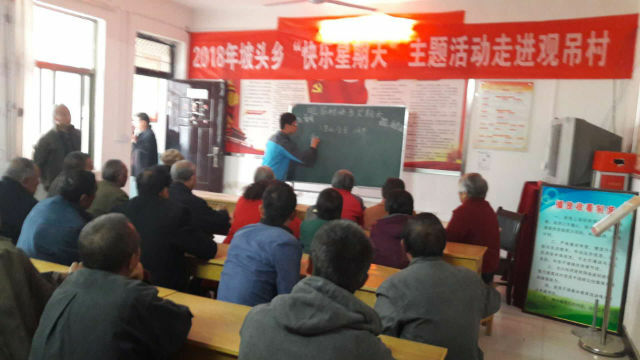 In morning of October 28, the Party Committee Publicity Department of Mianchi county in Sanmenxia city organized “Happy Sunday” events in various villages of Mianchi county. Intended as a means to raise people’s curiosity and get them together, various cultural shows and lectures on agriculture were part of these events. “Happy Sunday” event in Buzhaozhai village, Potou township, Mianchi county, was organized on October 21. According to the deputy director of the Mianchi Agriculture and Animal Husbandry Bureau, the “Happy Sunday” is a national policy requirement, and it aims at providing alternatives for people that attend church. 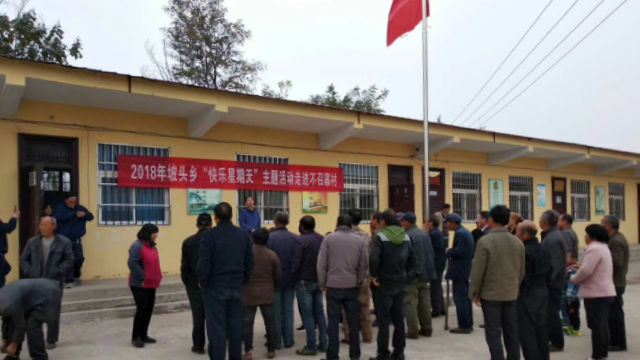 A “Happy Sunday” event, organized by the Agriculture and Animal Husbandry Bureau in Mianchi county. Similar activities have been taking place across other municipalities in Henan. Local Christians have commented that authorities are trying to exert spiritual control over people of faith with the goal of eradicating religious belief.